A good flask isn't an essential piece of gear, but it's pretty close. I toss a flask in my pack to share around the campfire, or to toast the top of a mountain. 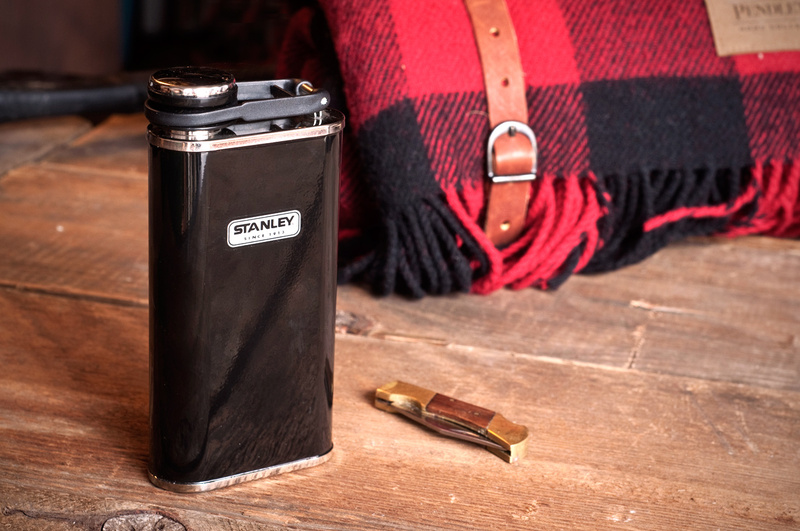 Trim, compact, and classic, the hip flask is also a great way to bring a little of your own along to make sure those drinks are always on point. A few things to consider when picking a flask is durability, portability, and convenience. I usually opt for the stainless steel version because it tends to hold up longer. As far as portability, go for something slim and long, that will fit in a pocket much better than the short and fat versions. With convenience in mind, look for a wide mouth and grab a small funnel for easy filling. If you're a germaphobe, there are kits with a few shot glasses that help you share with friends without taking a nip off the same top. But really, it's a flask, and alcohol kills germs. 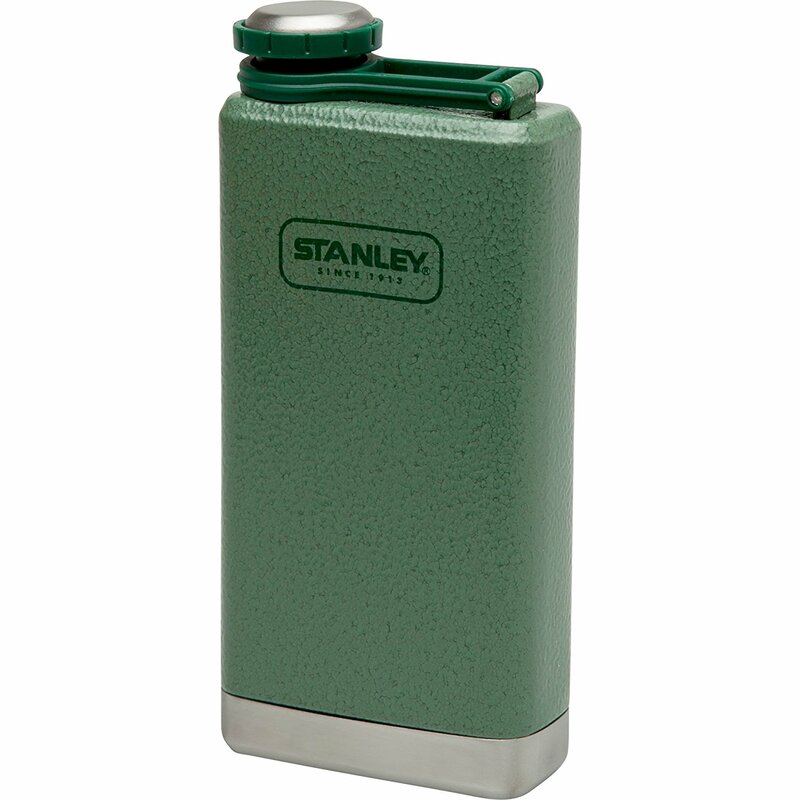 The Stanley Adventure Hip Flask ($30) - It looks like your grandpa's old thermos, and it holds up to the abuse just as well. If you plan on keeping it with you on those rough adventures, this is a good choice. Comes with a few shot glasses so you can share, or not. 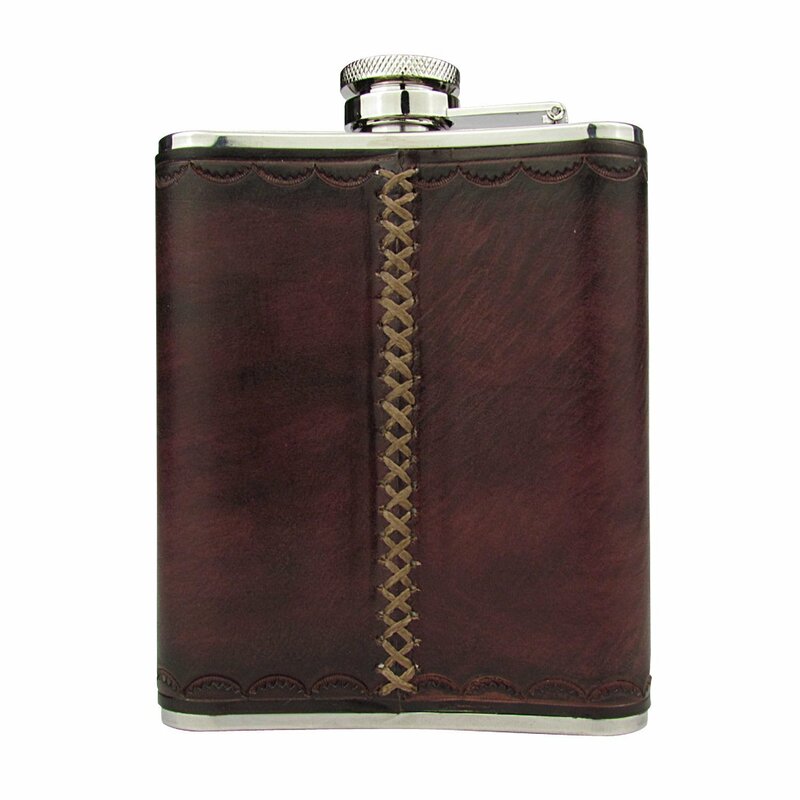 Leather Wrapped Stainless Steel Flask ($30) - Something simple but with a bit of insulation is nice to slip into a hip pocket. The outside leather keeps it a bit more protected and looks good too. This option makes more sense with a suit than a pair of trekking pants. 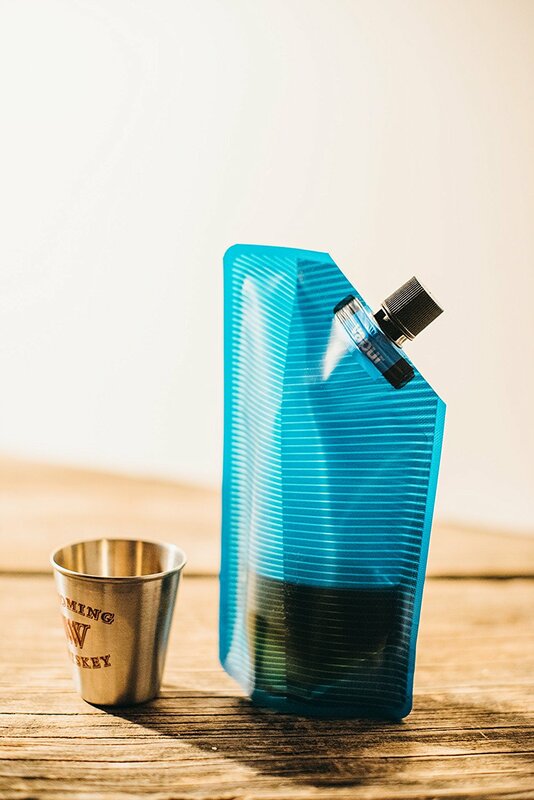 Vapur Collapsable Flask ($7) - This simple plastic container folds down flat once it's empty, so you don't have to carry a bulky container. Great for backpacking, it's cheap enough to grab a few and really not care if it comes up missing after a long weekend in the woods. Also works particularly well for your kid's soccer games. Not that we'd know anything about that. As far as what to fill it with? Take a look at our round-up of the best whiskey under $40 for a few great ideas.